Bulleys commercial property experts offer a wide range of commercial property in Walsall. Finding commercial property for sale or to let throughout Walsall and West Midlands can often be a time consuming process, so we provide our expertise to help you make the right choice. 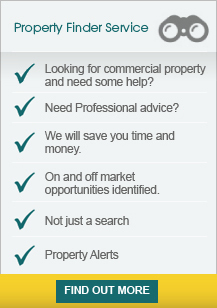 If you can't find the commercial property in Walsall you are looking for let us know and we will be able to assist you, or why not try out our property finder service and register for commercial property alerts. Our commercial property in Walsall are updated daily, so you can be rest assured we bring you the most recent and up to date commercial property listings. We also provide other commercial property services including property valuations, renegotiating leases, rating, and commercial property management in Walsall and West Midlands. The premises are located in a prominent position on Leamore Lane within an established industrial/warehousing location. Leamore Lane runs into the A34 Green Lane which links Cannock to Walsall. The offices also front commercial road. Walsall Town Centre is approximately.. The premises are located in a prominent position on Leamore Lane within an established industrial/warehousing location. Leamore Lane runs into the A34 Green Lane which links Cannock to Walsall. Walsall Town Centre is approximately 2 miles to the south east of the property..
District Business Park is located directly off Birchills Street, which is accessed from A454. Junction 10 of the M6 Motorway is approximately 1 mile away via the A454 Wolverhampton Road, providing access to the regional and national Motorway network.